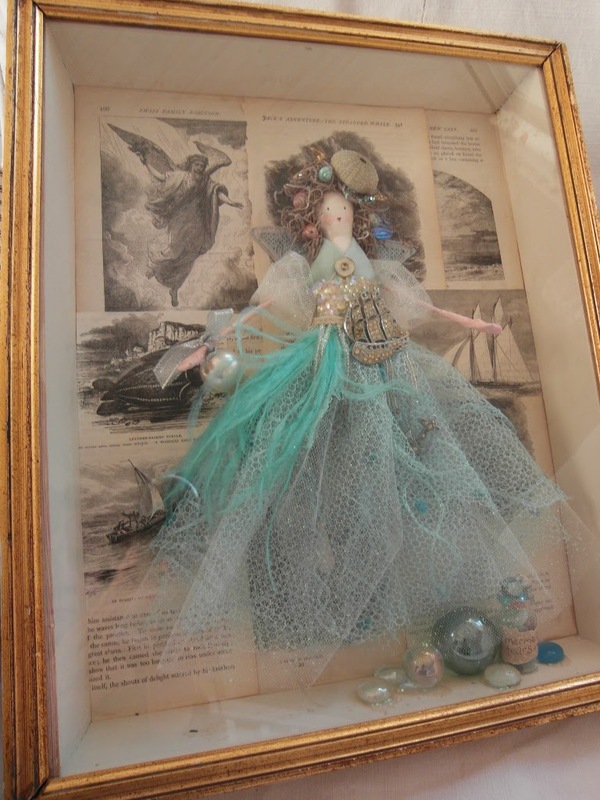 So pleased to find another old box frame whilst out foraging a few weeks ago - It set me on a creative path to make another Victorian style 'specimen fairy'. 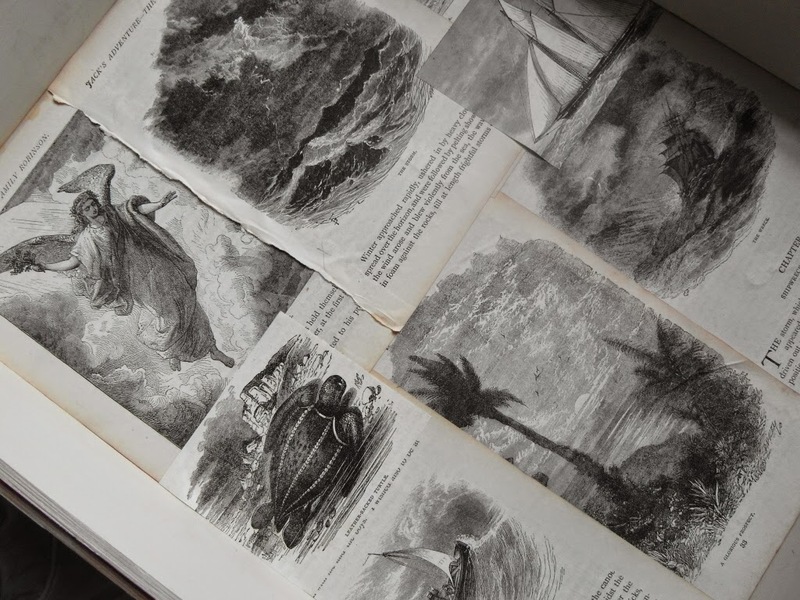 I lined the back board in pages from an antique copy of 'Swiss Family Robinson'. 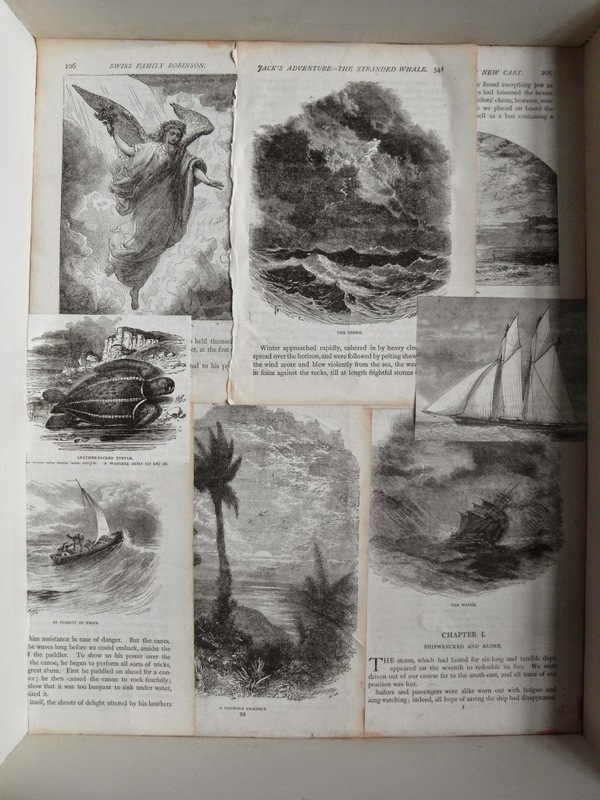 I chose as many of the sea-themed illustrations as I could find. At the bottom of the recessed frame I added a tiny bottle filled with fragments of sea glass collected in Mallorca. 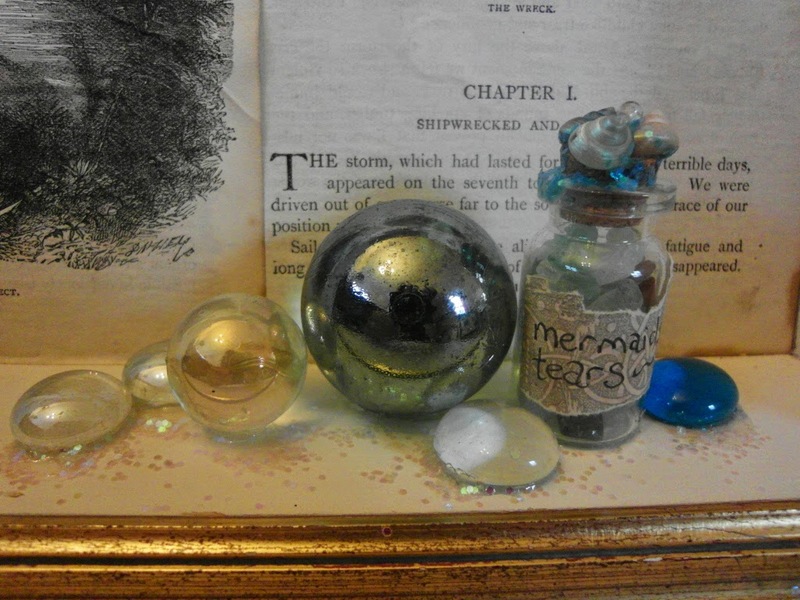 Also some pretty glass marbles and pebbles, with a sprinkling of iridescent glitter. Then for the captured fairy...This is Urchin. She is dressed in a skirt made from layers of vintage millinery netting and flecked chiffon. She wears a silk bodice with sequined cummerbund and a large diamante ship brooch with attached anchor. I trimmed her hair with vintage dyed shells, mother-of-pearl buttons and a tiny sea urchin. 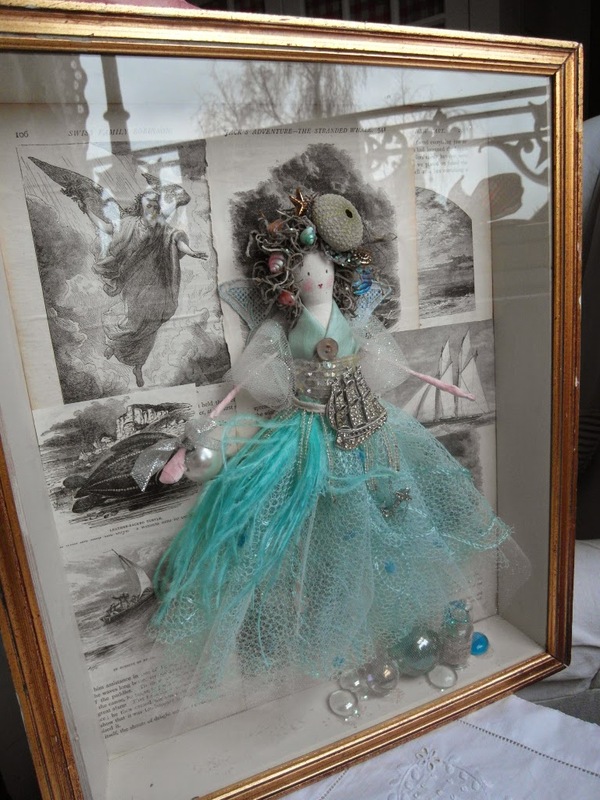 Being behind glass, I thought she'd be ideal as a decorative feature in a bathroom, with her water theme. 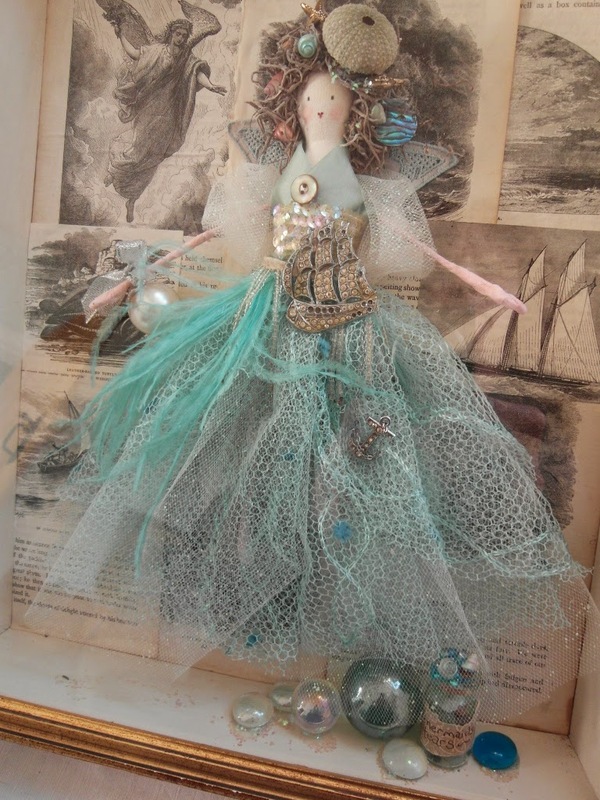 She's another artwork coming with me to the Vintage & Handmade Christmas Fair on Saturday. 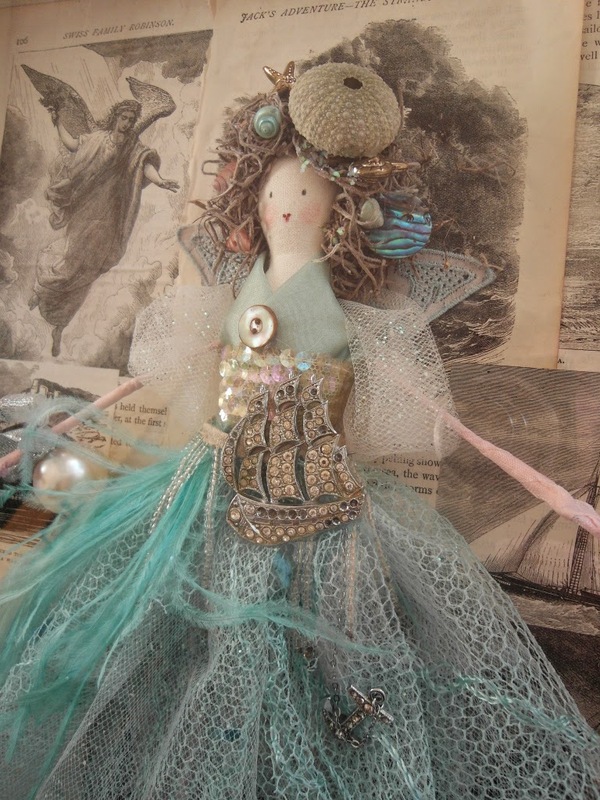 One more fairy artwork to show you tomorrow, then a parade of other new gals.